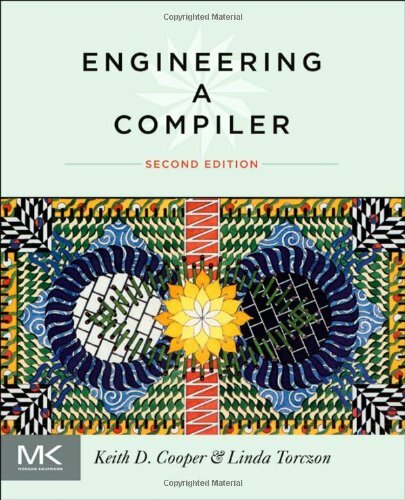 This entirely updated second edition of "Engineering a Compiler" is full of technical updates and new material covering the latest developments in compiler technology. In this comprehensive text, students will learn important techniques for constructing a modern compiler. The authors, Keith Cooper and Linda Torczon, leading educators and researchers, have built several state-of-the-art compilers. They combine basic principles with pragmatic insights from their experience to help explain important techniques such as compilation of imperative and object-oriented languages, construction of static single-assignment form, instruction scheduling, and graph-coloring register allocation. Used Very Good (22 available) 012088478X Clearing Inventory! Book has minor flaw, like bent or scratched cover. Total Satisfaction Guaranteed. Quick Handling. We work every day but Sunday. Standard delivery takes 4-14 business days. Please note: Shipping may take longer if you live in Hawaii or Alaska, Puerto Rico or Guam. YOUR SATISFACTION GUARANTEED!